Well what do you think? Ikea is the best. 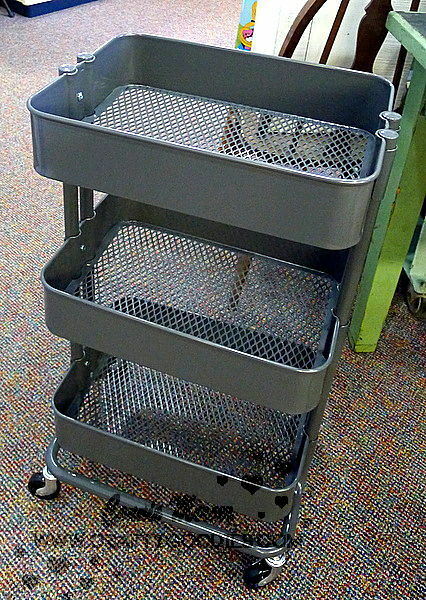 Love the kitchen cart by Raskog.! Hubby put it together for me and stated how well built it is. Good news!!! 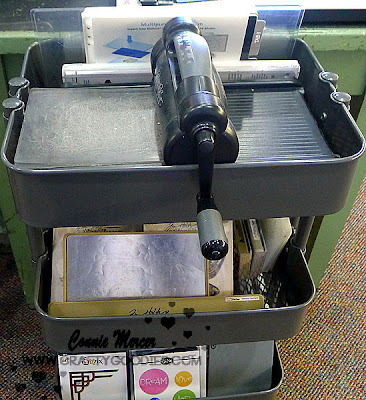 It is holding all of my die-cut supplies and I was able to clear off more counter space for working. I now can put 3 binders of stamps in the cabinet and off of my counter top! Ikea was sold out of the turquoise color, so Grey it was~I really don't care about that:):):) really don't. One last thing~I special THANK YOU to Kerry Lynn Yeary for making me a watermark!! I promise to pay it forward!!! Seriously I am dying for one of these!!! Wish I would have grabbed one in the states before we came over here! So sweet of KL for making the watermark! I love it!!! And love love love your tray from IKEA!!! It looks FAB!!! so fun..i love mine too..
IKEA has great ideas and home furnishings. You have the best ideas and make use of everything. oh man what a great idea!!! I have the teal color. A long story getting that baby. I LOVE it! The gray color is nice too. Kinda looks alike galvanized steel. I want one!!! I want the teal one. Badly. LOL! I love seeing how people choose to use it... so many great ideas! You know I love anything that offers more storage, especially the ones that look good too. This is wonderful and the gray gives it a more industrial look. Great find! I really love IKEA! Love your cart too! I love Ikea finds. Great use of the cart. LOVE Ikea. It's dangerous for me to go there. 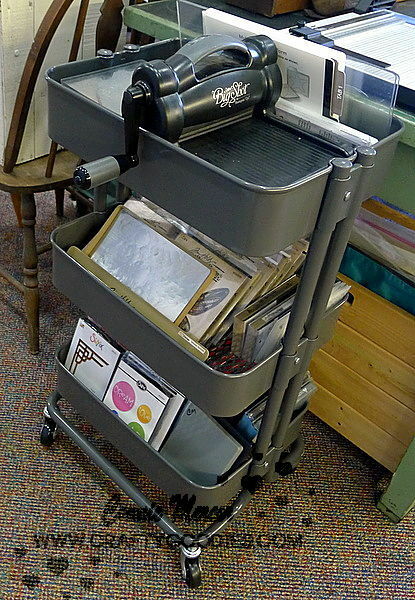 Love how you are using this kitchen cart. Just wondering...are you able to use the Big Shot without taking it out of the cart?